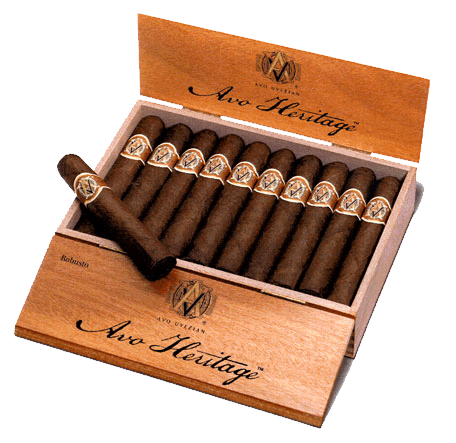 Avo Heritage | Chicago's Pipe, Cigar & Tobacco Store | Iwan Ries & Co.
Avo Heritage utilizes the finest selection of Cuban-seed tobaccos in the business. This cigar is one of the most complex Dominican blends ever created as it features Cuban-seed Dominican long fillers all encased by a Cuban-seed sun grown wrapper grown in Ecuador. With a super smooth character and a full-bodied, full-tilt flavor, Heritage will satisfy the most discerning aficionados and still features a relatively affordable price point.